On March 23, 1965, astronauts Virgil I. “Gus” Grissom and John W. Young participated in the first crewed Gemini flight, Gemini III. 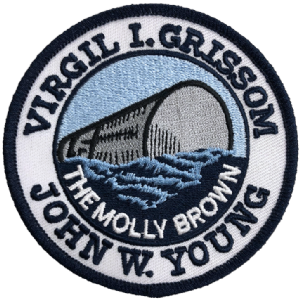 The flight of the “Molly Brown,” which was named after the Broadway musical and was a reference to Grissom’s previous Mercury craft, the Liberty Bell 7, which sank shortly after splashdown, was intended to test the new maneuverable Gemini spacecraft. The mission was considered a success despite a few thruster issues and the sudden appearance of a contraband corned beef sandwich. This photo was taken of the two pilots in the spacecraft simulator at the McDonnell plant in St. Louis, Missouri.